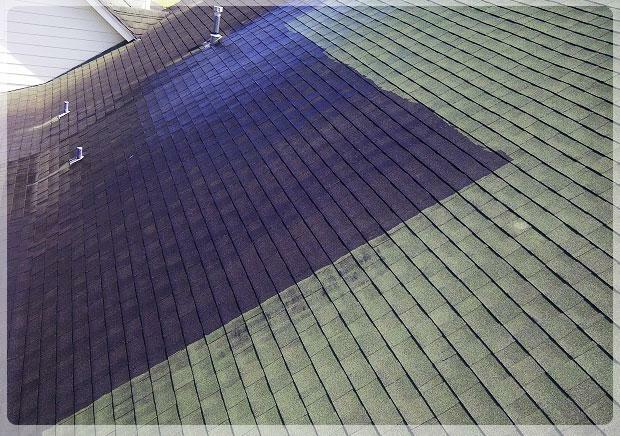 Cleaning your roof is extremely important to its health and appearance. 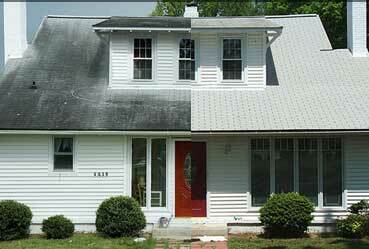 It is essential to clean your roof every few years to get the most out of your investment. There are many misconceptions about roof cleaning. Especially the cost. People are relieved to learn how affordable roof cleaning actually is. What Services Do We Provide in the Myrtle Beach, South Carolina area. Our roof cleaning company in Myrtle Beach, South Carolina takes a unique approach to cleaning roofs, which has helped us to build up an extraordinary clientele. We have the ability to remove detrimental fungus and other destructive environmental elements from your homes roof structure with chemicals. Not surprisingly, we also offer roof pressure cleaning services to simply knock the dirt and dust off your homes roof that might cause it to have a faded appearance. In fact, many customers have told us that they originally assumed they were going to have to replace their roof but the reality was, it simply needed to be cleaned. Our staff has the required experience to operate our roof cleaning machines in a method that is safe yet effective. By taking a look at a faded roof, most people in Myrtle Beach, South Carolina would assume that they will have to have new roofing put in. However, they are stunned to find out that we have the ability to clean their roof with our unique equipment and make it look great for far less than the cost of a new roof. Be sure to give our roof cleaning squad from MD Roofing a call at (843) 631-7663 to learn more about our services.